Iran's "Shargh" daily reports that the country is facing shortages of drugs for the treatment of 30 illnesses including cancer, heart and breathing problems, Thalassemia and multiple sclerosis (MS). 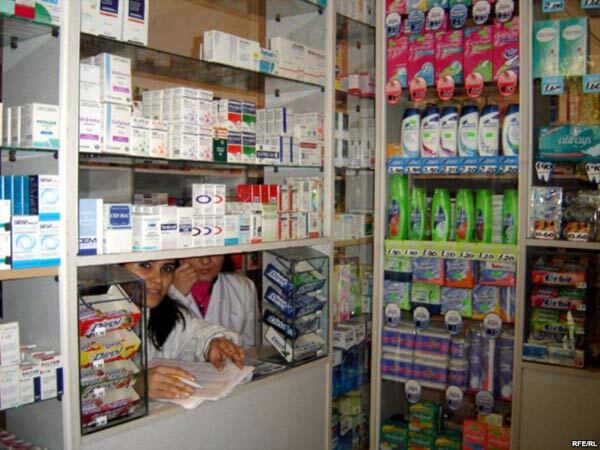 Drugs for cancer, heart problems, and several other ailments are now in short supply in Iran. 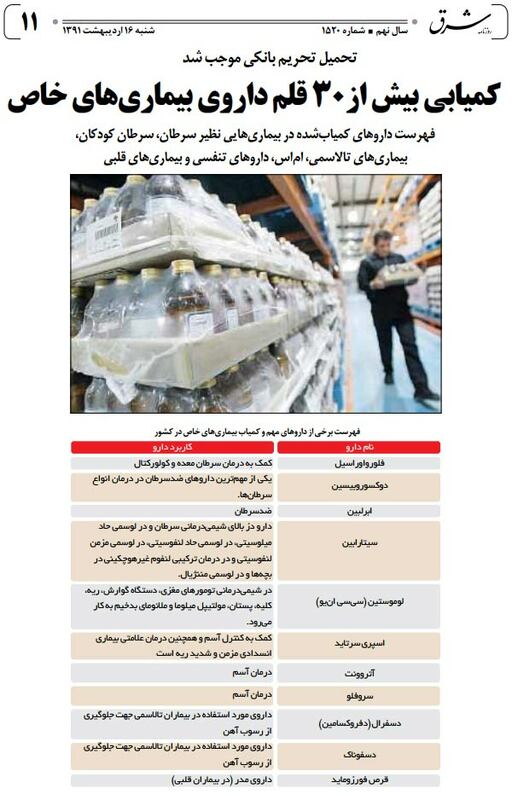 According to the daily, the shortage is the result of international sanctions against the Islamic republic, the implementation of subsidy cuts, and the foreign-currency exchange-rate fluctuations that Iran has experienced in recent months. "Shargh" reports that the production and import of drugs for cancer and other diseases has reached "worrying levels." The daily has issued a list of the anticancer drugs and other medications that are difficult to obtain, including drugs that are used in chemotherapy such as Fluoroucil and Doxorucibin.